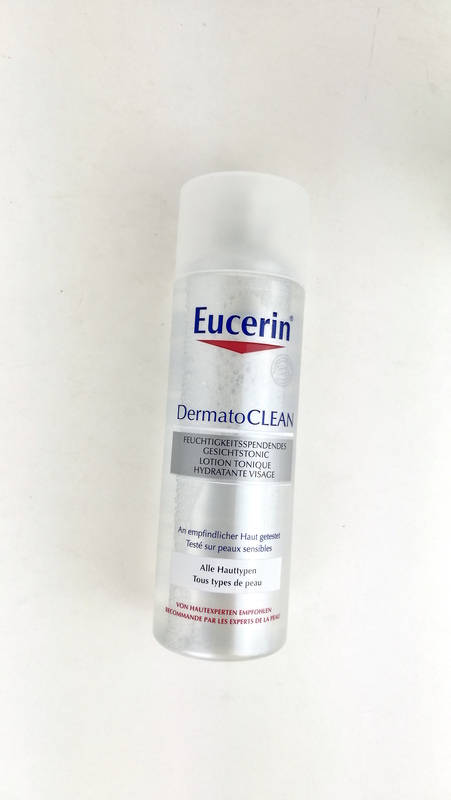 I got asked to check out some Eucerin products and chose to explore the benefits and purposes of the DermatoCLEAN tonic and eye makeup remover. 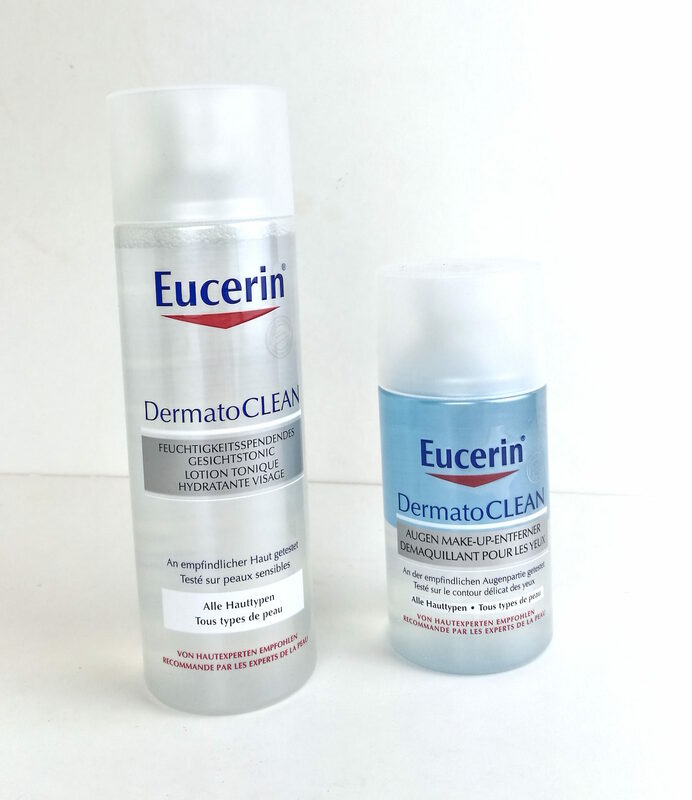 I have only heard great things about the Eucerin but have so far never used any of their products. Now lets see what I have found out about the tonic and eye makeup remover. 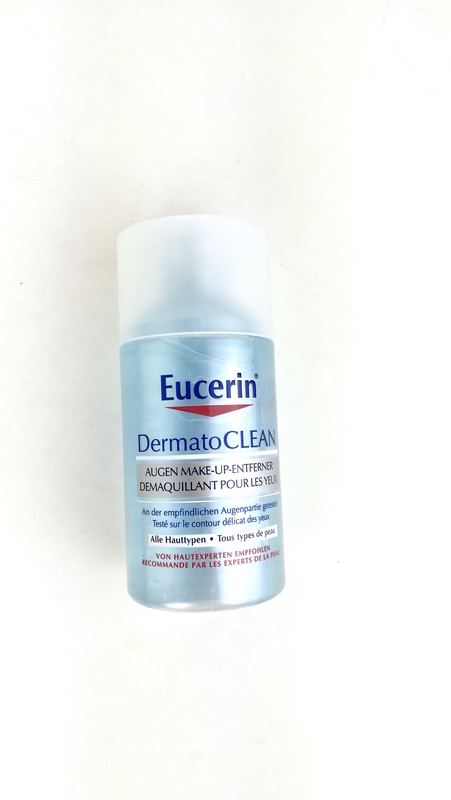 It claims to gently remove all cleanser traces and lets the skin breathe more easily. Furthermore it has been tested on sensitive skin. This is a big PLUS. So many people have sensitive skin, including me. And therefore it is always great to hear that a product has been tested for exactly this kind of skin type. The main reason to use a tonic after cleansing ones face is to prepare the skin better for regeneration and the following serums and or creams. The skin feels noticeably clean and soothed and clearly delicate and supple. I have loved their tonic and was surprised to read that it is for all skin types, eventhough it was tested for sensitive skin. Another great thing is that the tonic contains no alcohol. The biggest results and benefits of using a tonic are to let the skin breathe. By daily using a tonic before moisturizing the oxygen uptake improves significantly. And therefore the skin moisture improves too. In case you have never used a tonic before, here is how you would use it. Apply to a cotton pad and wipe gently over the face, neck and décolleté to prepare the skin optimally for the absorption of the next active ingredients. In my case I stopped using cotton pads and am using the JEMAKO pads instead. Like this I produce less trash and do something for a better place to live on. I can highly recommend them to you. 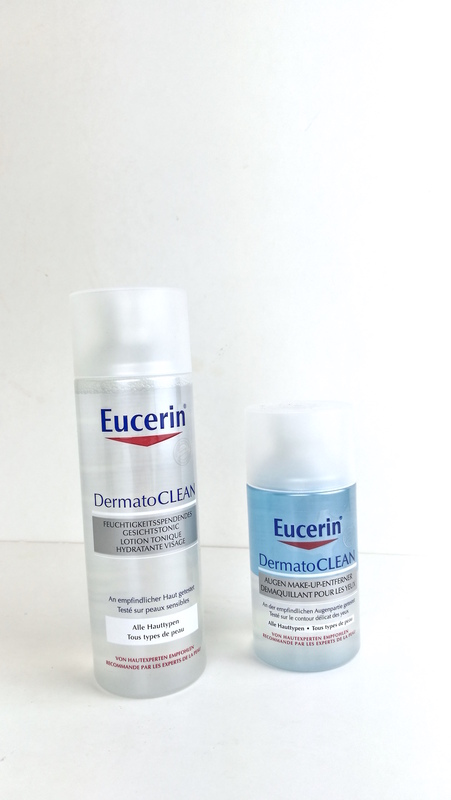 I have read that Eucerin has performed scientific tests and conducted controlled application studies with participants between the ages of 18 and 75. It claims to remove gently and thoroughly ones eye make-up and water-resistant mascara. Especially with summer ahead, a lot of women are using waterproof mascaras and are in need for a good and gentle remover. A non-greasy, two-phase formula comprising: an upper layer for removing water-proof make-up and a lower layer for removing water-soluble make-up. By shaking it the two phases are getting activated and are ready to be used. Eyes are the windows to our souls. I love that saying and totally agree. We can see if someone is tired or sad by looking into their eyes. Also one can tell if someone is taking good care of their skin. The eye area has super sensitive skin and it is very important to be very gentle. Like the tonic also the eye makeup remover has been tested on sensitive skin. And aswell it claims to be for all skin types. I was very happy to read that they have conducted controlled application studies with participants aged 18 to 75 who had partially sensitive skin. I guess its clear to everyone how to use eyemakeup remover, but one never knows. So here we go: Shake well to mix the two phases. Apply to a cotton pad. Gently wipe from the inside outwards over the eye area until no remover is left on the cotton pad. This post has been created in collaboration with the MIK Agency. The SEO agency MIK Agency is specialized in digital marketing, campaigns and commercial publishing.